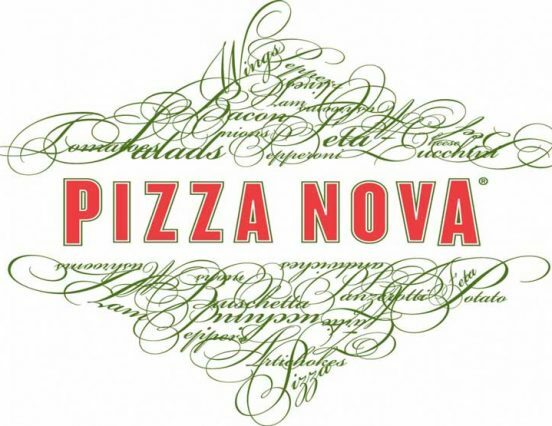 On April 30, only from 11:00 a.m. to 8 p.m., Pizza Nova is giving away free small pepperoni or cheese pizzas at their two new locations in London, Ontario (limit one per customer, walk-in only, while supplies last). Visit Pizza Nova on 1194 Highbury Avenue, just north of Cheapside St. or 850 Wellington Road, just south of Southdale Road to taste their free delicious pizza and win exciting prizes. Pizza Nova is proud to be serving the London area. For 55 years, Pizza Nova has been making authentic Italian Pizzas using only the highest quality ingredients. Pizza Nova is the first pizza company in Canada to bring you Pepperoni, Chicken and Beef raised without the use of antibiotics and hormones. It's all about ingredients at Pizza Nova. Pizza Nova invites you to taste the difference. So mark your calendars on April 30 and enjoy free small pepperoni or cheese pizza at the two new locations from 11:00 a.m. to 8 p.m. Founded in 1963, Toronto-based Pizza Nova is a family-operated business and has over 140 locations in Southern Ontario. Lauded for their community work, they specialize in fresh toppings, and offer a wide range of menu items including salads, lasagna, panzerotti, Italian sandwiches, chicken wings, FOCACCIA BARESE™ and a specialty line of Primucci Branded Products featuring Italian Peeled Tomatoes, Extra Virgin Olive Oil, Homestyle Tomato Sauce, Italian Hot Peppers, Spicy Green Olives and Sundried Black Olives. Pizza Nova locations offer delivery, pickup, online ordering and some sit-down service. Visit pizzanova.com.